Although I had passed by it many, many times over the years I had yet to open the door and step inside. 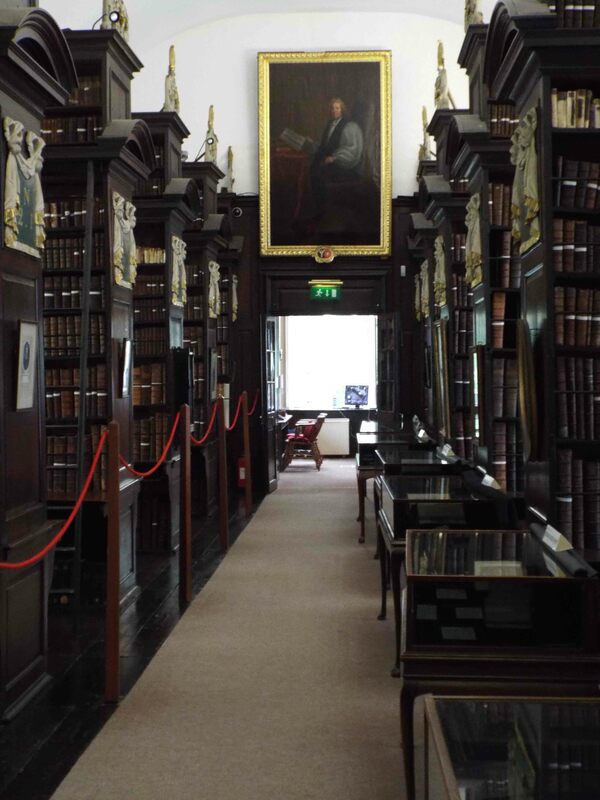 Marsh’s Library (beside St Patrick’s Cathedral) is one of those places that is little known, but has a lot to offer. It was commissioned by the wonderfully named Narcissus Marsh and opened its doors in 1707. It is one of the few early 18thcentury (Enlightenment) buildings in the city still being used for its original purpose. Considering the changes that have occurred in the last three centuries, it is a testament to the building and to what it offers that have helped it survive. Open the door and you step back in time. The stillness and quiet rule here, and the tall dark oak shelves are crammed with books that were old when Marsh got permission to build Ireland’s first public library. It is laid out in two galleries (First & Second) joined by a reading room in an ‘L’ shape. It is interesting to think that most of the books are resting the same places that Marsh chose. At the end of the Second Gallery are the ‘Cages’. 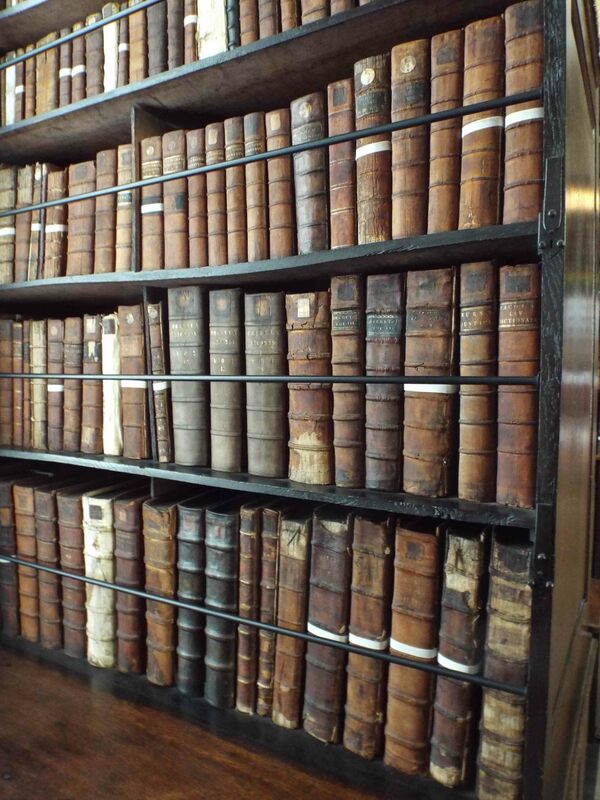 These were to prevent theft of the smaller books which would have been expensive, and very difficult, to acquire. And here you can test your Quill Power by writing in the old style – very interesting. Some of Dublin’s greatest writers spent time here, researching and enjoying books that were unavailable elsewhere in the city. It is thought very likely that Jonathan Swift’s most famous work Gulliver’s Travels owes a lot to books on Formosa and Japan – published in the early 1700s. 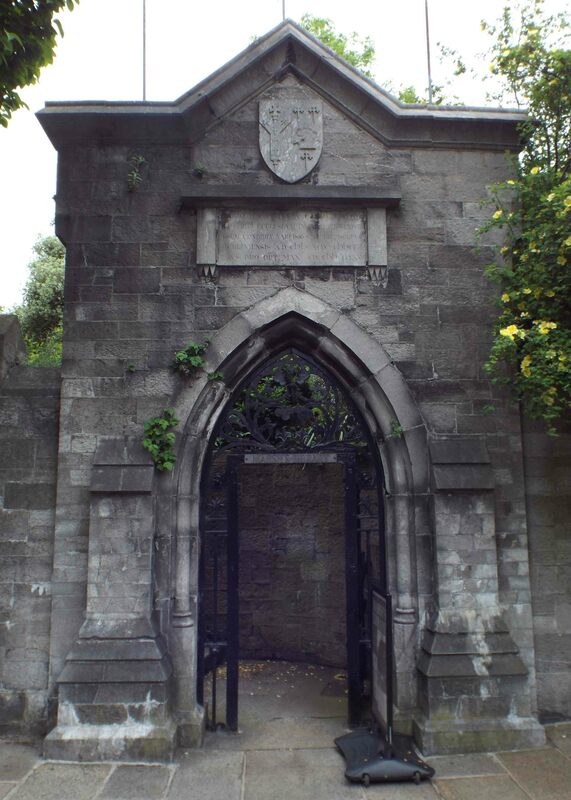 James Joyce and Bram Stoker also visited, and the place features in Joyce’s Ulysses. Of a more contemporary note there are bullet marks in the shelves and books, leftovers from the Easter Rising. They, thankfully, are the only scars it bears from the conflict and show that even somewhere like the old library was not safe. The place, however, is, as someone wrote ‘living history’ and long may it continue to enthral and excite booklovers. The air was warm, the breeze gentle, and the tang of the salty air invigorating. 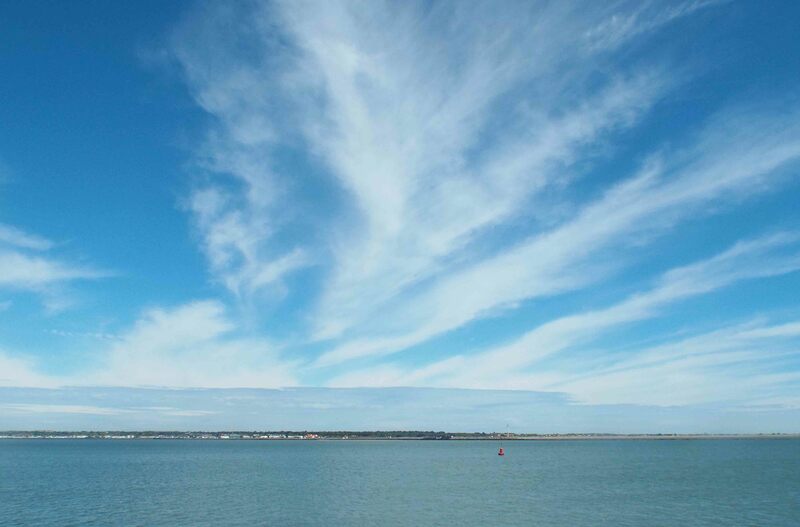 It felt that summer had definitely arrived, as I slung my camera over my shoulder and headed for the Great South Wall. It was my first visit here since the autumn when the day was bright and the breeze blustery. Today, thankfully, was totally inviting, and my arrival in mid-morning meant that there were only a few walkers enjoying the beautiful weather. And, of course, the unique scene and images of Dublin. The building of the Great South Wall began in 1715 when it was authorised by the Dublin City assembly. It was built in response to the problems caused by silting at the mouth of the River Liffey, which prevented large ships from landing. 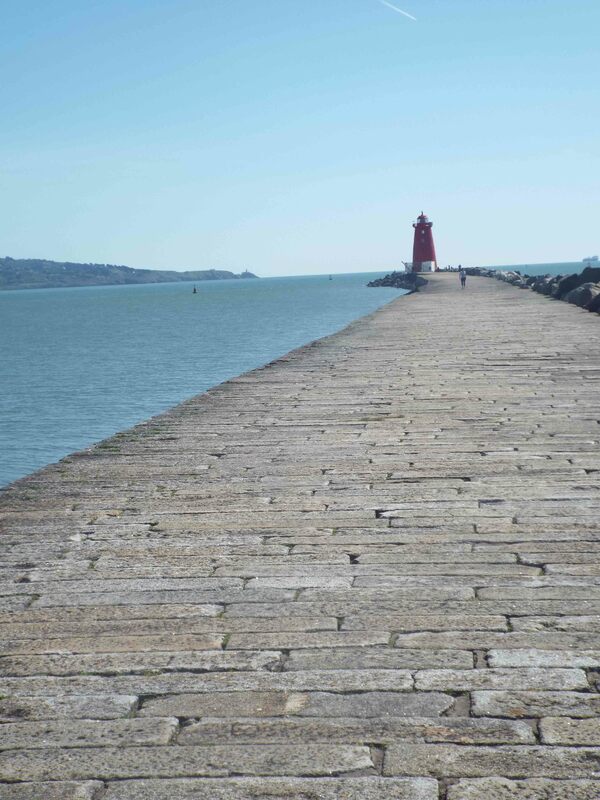 Most of the wall is constructed from large granite blocks brought from the quarries in Dalkey, and it was, for a time, the world’s longest sea-wall. 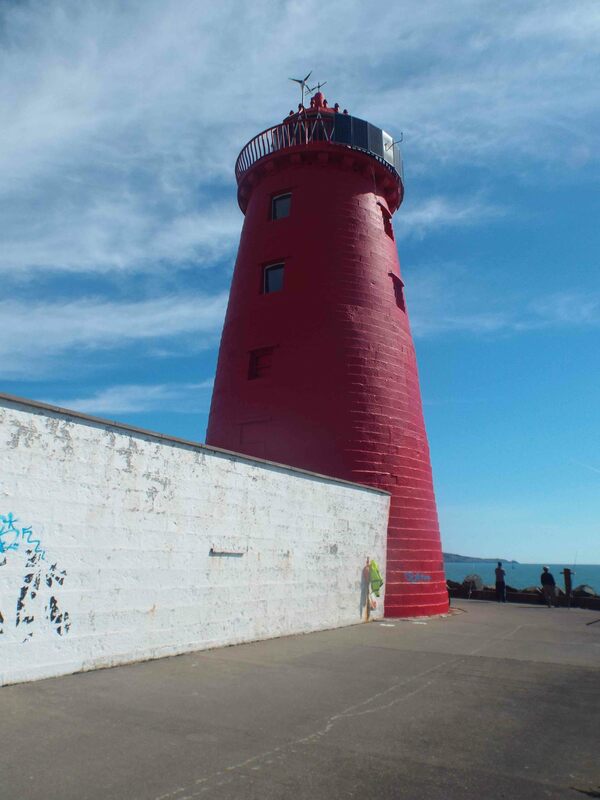 Building took many years, and the red-painted Poolbeg Lighthouse at the tip of the wall was constructed in 1820. The view from the lighthouse – 360 degrees – of Dublin, is fascinating, especially for those who have never stood there before. You are in the middle of the bay, almost equi-distant from Howth and Killiney, with only ships travelling in and out of Dublin Port for company. It is a new way of looking at the city, and one not to be missed, especially on a bright, sunny day. At the start of the wall is the Pigeon House, which was named after John Pigeon who ran a small hotel (built between 1793-95) that catered for travellers who had to be ferried to and from their ships. Sadly, it has nothing to do with the myriad of pigeons about the place! However, there are plenty of birds and animals to be seen as the GSW is now a Special Protection Area (SPA), and the adjacent Irishtown Nature Park is popular. Being out on the water, and you do feel that you are floating on Dublin Bay, is a wonderful feeling and something that this hidden gem always delivers.